You might think that Americans today move more frequently than they did in the past. However, according to the US Census Bureau, only 11.2% of Americans moved in 2016. This percentage is considered an all-time low. Why did 11.2% of the population choose to move in 2016? Where did they move to? And why are so many others choosing to stay? The answers below will help you understand more about moving in America and may help you decide whether a move is in your future. According to the US Census Bureau, there are a few main reasons why Americans move today. 42.2% percent of those who moved did so for a housing-related reason. Some people move to live in a larger or newer home. Upward mobility is a good sign – a sign that these people are earning enough to afford a better place. These families need more space for their growing family or to store their belongings. However, financial difficulties stop many people from moving into a better house. Negative home equity continues to be rampant in the market. The cost of many people’s loans exceeds their home’s market value, making it hard for them to sell their homes. Additionally, many people actually moved to obtain a smaller, cheaper house. In 2014, for example, the percentage of people who moved for a better home increased – but so did the percentage of people who moved for a cheaper home. Some experienced financial difficulties, while others had family members move out and decided to downsize. Of those surveyed, 27.4% moved for a family-related reason. Many people move after they get married or decide to move in with a significant other. Of course, the opposite also applies, with divorces and separations occur. There are other family-related reasons to move as well. Some people move to be closer to their extended family. While not as common as housing-related or family-related reasons, employment-related reasons to move are still common. Of those surveyed, 20.2% said they moved for employment-related reasons. Why is moving for a job not the most common reason to move? One of the reasons is that some people find job opportunities lacking, leading to fewer moves for new employment. The Heritage Foundation reported that while the United States has gone through a slight economic recovery, that recovery was less than expected. They expect 2017 to be a year of slow economic growth as well. Plus, according to Trulia, researchers have found that moving for a new job may not be as economically beneficial as it once was. This factor may explain why many people are choosing to look for a job within their own counties. According to 2014 census data, Americans moved just once every eight-and-half years. Many people are staying with their current jobs and communities for many years. Other than Ankeny, Iowa, all of the top 15 fastest-growing cities were in the South or the West. Texas may be the most popular state to move to. It’s interesting to note that 4 of the 10 fast-growing cities were in Texas. Plus, between 2014 and 2015, more housing units were built in Texas than in any other state. Why is Texas such a popular place to move? Job opportunities are a big part of it-many of the top areas for job growth are in Texas. Texas also has a low cost of living and no personal income tax. Are you planning to move in 2017? 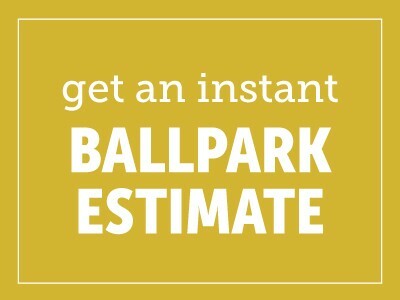 Get a free estimate from Bekins. Our professional move coordinators will handle every aspect of your move, from packing to loading to delivery. Once you make the difficult decision to move – let Bekins handle the rest!